> News Product News Show Time! C-TEC is exhibiting at two exciting regional industry shows. First up is ISEC, Ireland’s Security and Fire Expo (26-27 April). Hosted at the Citywest Conference in Dublin, ISEC is Ireland’s dedicated event for the Irish fire and security industry. 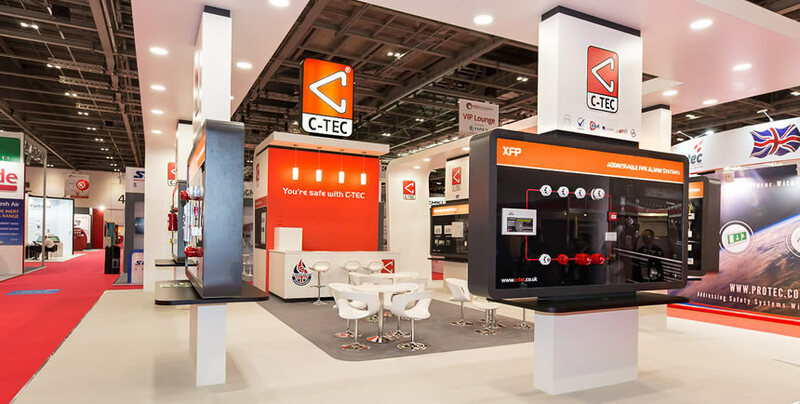 Visit Stand D8 to see C-TEC’s new CAST addressable fire system, our high-performance EN54-23 certified range of visual alarm devices and much more. Click here for free registration. We’ll also be attending Fire Safety Scotland at SEC Glasgow (3-4 May). Part of the Scotland Works series, this new show is aimed at fire, security and safety professionals and is co-located with Health and Safety Scotland and Facilities Scotland. C-TEC’s extensive range of life-safety innovations will be on display on Stand FS10. Click here to register for free.